All our appointments are booked through a computerised system which will allow you to book any available appointment by phone, or in person. You can also book a number of appointments on-line (please see the online service tab or ask reception for more details). There are a fixed number available every day but the Practice is continually reviewing the number of appointments that we offer. There may be occasions when we have staff on holiday there may be less and when demand is heavy there may be more. We will always try and make sure we have the right balance of each appointment available for booking. In general terms, the further ahead you wish to book, the more likely you are to get an appointment. The earlier in the day you ring the more likely you are to get an appointment. Or they are in distress or discomfort, please let our reception team know and you will be offered a same day telephone consultation or an appointment. Please note that this system is in place to deal with urgent on the day medical problems and NOT routine health issues. The Practice operates a telephone triage system to ensure that patients, who believe they need an urgent on-the-day appointment with a doctor, receive appropriate advice and treatment. The service is available up to 12 o'clock midday when all on-the-day appointments have been taken. Please note that this system is not appropriate for dealing with routine health issues. If we are unable to offer you an appointment you may directed to attend the Sheffield City GP Centre on Broad Lane, Sheffield S1 3PB. This is a walk-in service available to patients from any surgery who can deal with a range of minor ailments and illnesses. They are open 8am - 10pm and you can contact them on 0114 2412700. If it is deemed appropriate, you may be offered and appointment at one of four GP centres across Sheffield 6pm-10pm weekdays and 10am-6pm weekdays. We understand how irritating it is to have to wait. Our clinicians try their best to work to their appointment times and we hope that you do too. If you arrive more than 15 minutes late for you appointment then you will be asked to make a new appointment and be counted as Did Not Attend (DNA). If you are unable to make your appointment then please cancel it as early as possible. 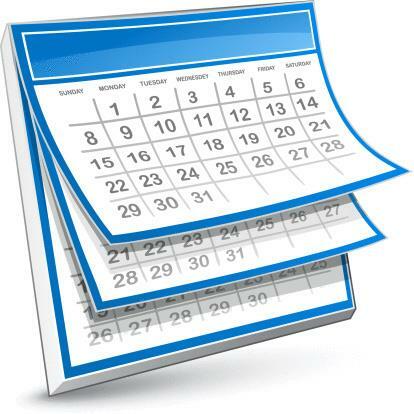 Any patient who fails to attend 3 times over a 12 months period will be removed from the Practice list. If you are registered for our online services then you can cancel your appointment here.